Tariq Farid, CEO and founder of Edible Arrangements, has taken a page from his IT background to develop a software solution that he says will help franchise companies and small businesses take advantage of emerging technologies to integrate their sales, operations, and marketing activities. The new company, announced Dec. 9, follows his acquisition of eMaximation this past spring. Renamed Naranga, the new company is based on his experience as a franchisor seeking a more efficient way to manage his own global business functions. 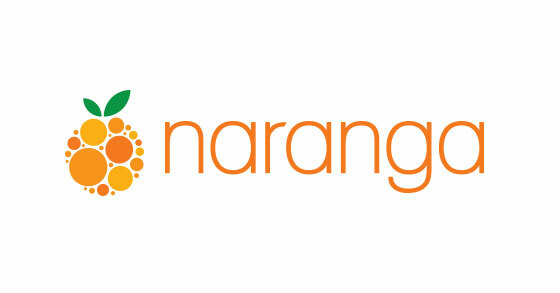 "Naranga's products will allow franchise chains to take control of their brand with simple, flexible tools that drive sales, improve operational efficiency, and allow them to easily connect with their franchisees," said Farid. "In addition to previous products available through eMax, we have added new solutions that can be customized to meet the specific requirements of a franchise chain and eliminate the need to use multiple resources to meet all the technology needs." eCommerce -- a platform flexible enough to accommodate companies of any size. Current clients range from smaller, growing businesses to franchises generating more than $300 million a year in online sales. Franchise sales -- daily sales and marketing activities are automated to capture, qualify, and convert more leads, letting the sales team focus on moving prospects through the buying process more efficiently. Franchisee management -- accessible from anywhere, this technology allows for the monitoring and managing of multiple locations including store finances, tracking vendors, creating a marketplace for franchisees to purchase inventory, management of legal documents, searchable online operations manuals, and tools to communicate with franchisees while on the go. Training -- the customizable training system integrates written, visual, and video components through a secure, mobile app for an easy-to-use, interactive training program that ensures consistency in products and service. Quality assurance -- custom surveys, reporting features, analytics, and mobile capabilities make it easy to monitor and maintain quality and consistency across multiple locations. Features can be tailored to each company's unique business processes, and all applications are developed with a mobile-first approach to reflect the increasing use of mobile devices over traditional management tools. "To meet the needs of today's highly mobile professional, it is critical to design for mobile tools such as smartphones and tablets first, then apply those applications to more traditional formats," said Farid. "This allows us to produce innovative experiences that unlock new ways for franchisors to interact with their customers and their franchisees." For more information, visit naranga.com or call 800-900-8321.